Published: July 24, 2014 at 11:05 p.m. Updated: July 25, 2014 at 01:05 p.m.
FOXBOROUGH, Mass. -- Rob Gronkowski's arrival on the field at New England Patriots training camp was greeted by the loudest cheers of an overcast Thursday morning, appropriate for a person who possesses so much of the team's offensive dynamism in his surgically repaired right knee and armor-sheathed left arm. 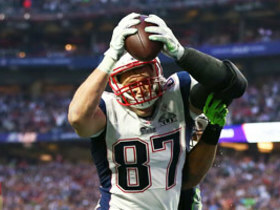 Gronkowski's return to action -- and Bill Belichick's pointed announcement Wednesday that he is cleared to play, signaling that New England expects the tight end to do just that -- is critical, of course, for a squad that saw its offensive performance dip last season without him. It was no surprise, then, that while Gronkowski did not participate in 7-on-7 or 11-on-11 work on Thursday, he and Tom Brady spent extra time together after practice working on pass routes. But it provided a nice bit of unintended symbolism that Brady walked onto the field Thursday with the other returnee, the one who Brady and everyone else must know represents a revival at least as important as Gronkowski's. Defensive tackle Vince Wilfork had a smile on his face as he rejoined the Patriots after missing most of the 2013 campaign with a torn Achilles tendon, the 32-year-old saying he hopes he can pick up where he left off. Wilfork's extended absence last season, combined with those of tackle Tommy Kelly and linebacker Jerod Mayo, left a gaping hole in the middle of the Patriots' defense, a hole that essentially swallowed their Super Bowl hopes. 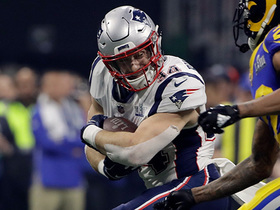 After all, the offense -- though it sputtered at times without Gronkowski and with a cast of largely unproven receivers -- was good enough to get the Patriots to another AFC Championship Game. It was the defense that was hapless against Peyton Manning's Denver Broncos in the conference title match, yielding a staggering 507 yards. It is a rare season in which there is as much anticipation for the Patriots' defense as there is for Brady and his annual conjuring of magnificence. But after a few years of retooling on the fly and devoting top draft picks to the unit, Belichick might finally have a group that harkens back to the Patriots' halcyon defensive days, when Tedy Bruschi and Mike Vrabel and Ty Law were easing the burden on Brady during the Patriots' championship runs. Mayo conceded that it was sometimes difficult to watch the defense struggle last season, but Wilfork refused to look back or to put too much stock in projections. "I've had good defenses and I've had OK defenses, and our goal always is to put the best team on the field," Wilfork said. "That's what we're going to do. Whatever it may be, I don't care how we look on film, how we look on paper. You have to be able to put it together on the field. You can't look at last year; you can't predict the future. You can go about now and what we're going to do each day. This first practice is in the books. We're going to go in and see things we did pretty well and things we probably didn't do pretty well. At the end of the day, it's not good enough. We have a long way to go. I'm not going to sit here and say how great we're going to be or how this person looks. No, it's a building process and right now we're in that building mode right now." That day-by-day approach has given the Patriots remarkable consistency in the Belichick and Brady years. Since 2000, they've won three Super Bowls, appeared in two others and played in three additional AFC Championship Games. They've missed the playoffs just three times, including in 2008, when Brady suffered a season-ending knee injury in the opener. But there is an ineffable sense of the passage of time and the oncoming end of an era in New England -- both Belichick and Brady noted that it was their 15th training camp here, and Brady added that players never know when it will be their last -- putting an especially harsh spotlight on those near misses, and on the roster shortcomings that led to them. If there is to be another Super Bowl title to bookend Brady's career, it probably won't be won via any great offensive leap. Rather, it will be captured because the defense proves able to provide some ballast for a team that, in recent years, had grown too lopsided. A unit that could feature two first-round draft picks in the secondary, two at linebacker and three on the line would seem to finally be able to address that. The signing of cornerback Darrelle Revis was one of the most significant personnel moves in the league this offseason. It did not merely deliver a gut punch to New York Jets fans; it gave the Patriots the best cornerback they have had since Law, one capable -- as Revis' former coach, Rex Ryan, could attest -- of shutting down one side of the field and providing an unexpected upgrade over Aqib Talib, who left New England to sign with the Broncos. Revis and fellow new addition Brandon Browner (who will serve a four-game suspension to start the season) should significantly help a pass defense that has ranked in the bottom half of the league in each of the past four seasons. Even Belichick offered relatively lavish praise for a player whom Brady avoided throwing at during offseason workouts. 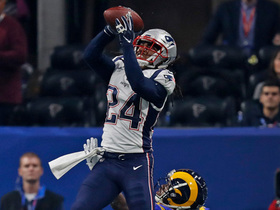 "I've been impressed with him," Belichick said of Revis. "Very professional. Has a good understanding of the game -- he's a smart player and he's had a real good focus and instinct. He's a smart player, scheme-wise, but he knows how to play. 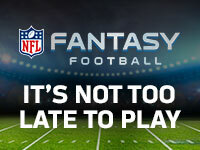 He's a very instinctive player." Maybe the Patriots have been lacking enough of those the last few years. When practice was over, rookie quarterback Jimmy Garoppolo walked off the field, carrying Brady's pads for him. 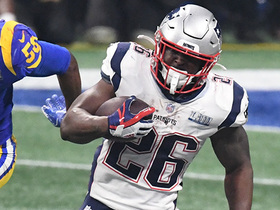 It was a reminder that the next generation has already arrived, even as the Patriots try to recapture a formula and the success it brought them more than a decade ago.